WWE Champion AJ Styles’ SummerSlam opponent will be announced next week on SmackDown by General Manager Paige. After wrapping up a months-long feud with new United States Champion Shinsuke Nakamura, Styles retained against Rusev this past weekend at Extreme Rules. 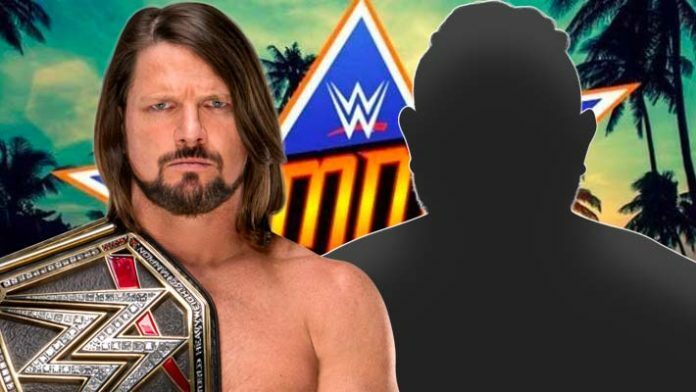 It’s been rumored that Styles would be facing Samoa Joe at SummerSlam and marketing materials released prematurely by WWE reveal that Joe will indeed by Styles next challenger. As of this writing, Styles has been champion for 254 days after defeating Jinder Mahal for the title last November at a SmackDown TV taping from London, UK. Styles and Joe were longtime rivals dating back to 2003, when Styles challenged Samoa Joe during his memorable ROH World title run. They would go on to continue their feud in TNA/Impact Wrestling, battling many times for various championships. WWE has managed to keep them apart since Joe’s main roster debut in January 2017, so this storied rivalry will actually seem fresh by the time they square off once again. WWE SummerSlam takes place on Sunday, August 19th from Brooklyn, NY at the Barclays Center.